So I tried making the Chips and they turned out really good! 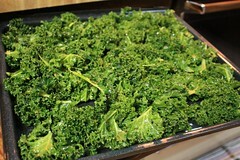 I got some Curl Leaf Kale and baked it at about 200°F for 20 minutes. It was still not crunchy, so I baked it longer. I think it took a total of about 45 minutes. 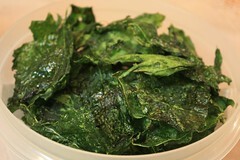 I also tried Mustard Greens, but instead of baking, I dehyrated them. 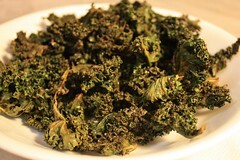 ☉ Crispy Crunchy Kale Chips on Meghan Telpner’s blog. 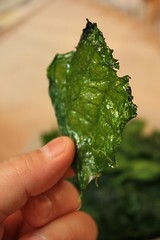 This entry was posted in Uncategorized and tagged Cooking, kale, links, mustard. Bookmark the permalink.